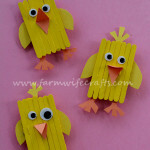 Are you looking for an easy Easter craft to make with your kids that you can enjoy for years? 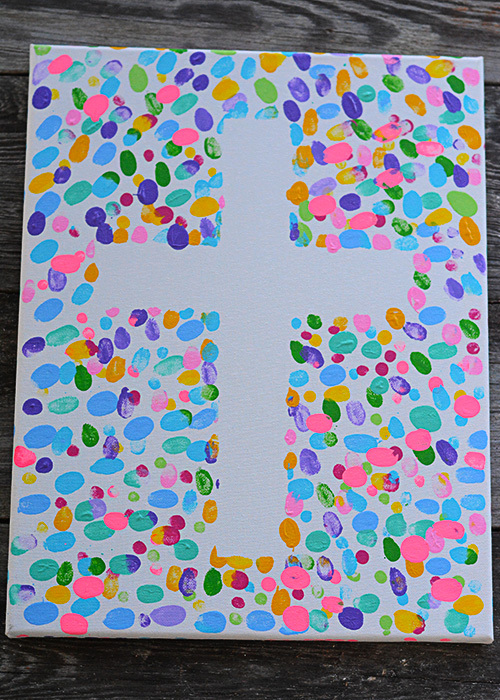 This Easter Fingerprint Canvas might be the perfect craft! 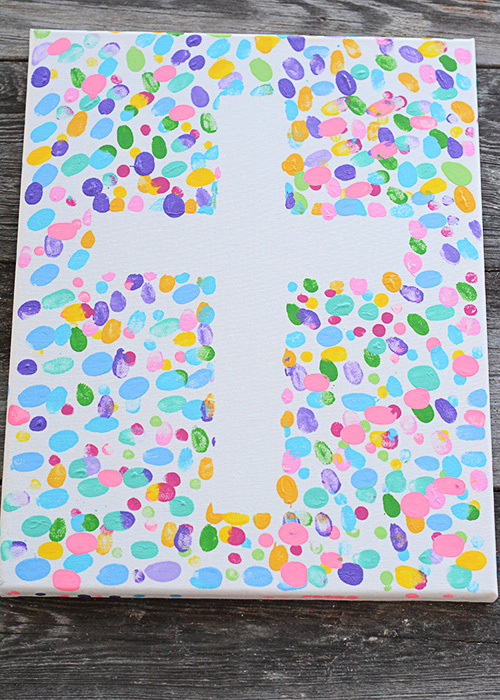 I’ve had the idea to make this canvas for Easter tucked into the back of my head for a while now, but just haven’t gotten it done! Well, last weekend we were actually home on a Saturday night for once and we got it done! 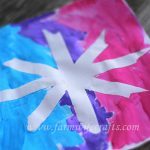 First, cut a cross shape from a piece of cardboard and tape it to the center of the canvas. 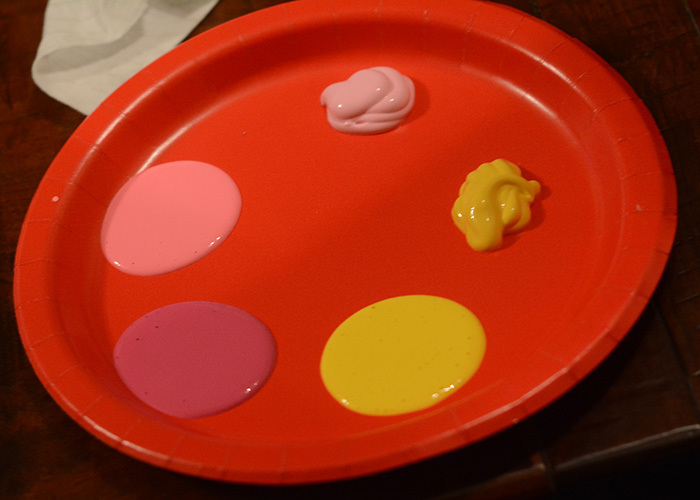 Next, choose your paint colors. 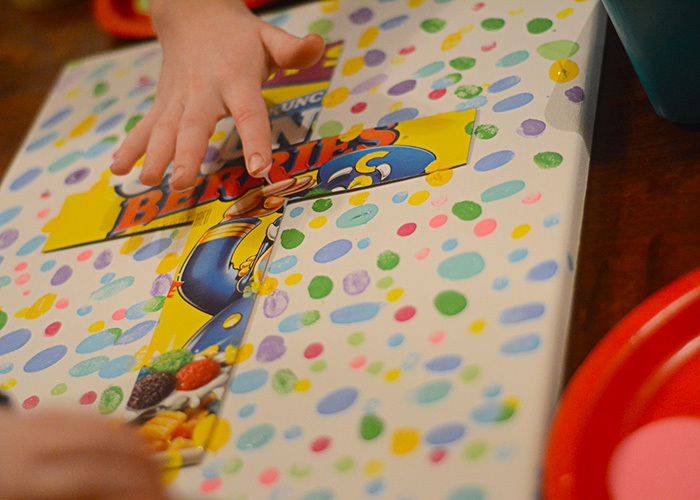 We chose to keep it bright and cheerful…Spring like! 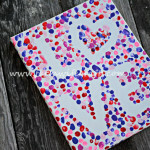 Now, the fun part…have the kids dip their fingers in various paint colors and press them onto the canvas. 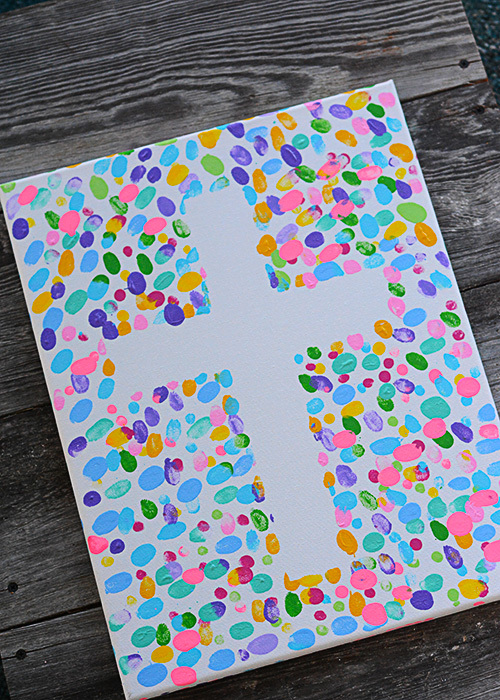 Allow the paint to dry then carefully remove the cross. Seriously! 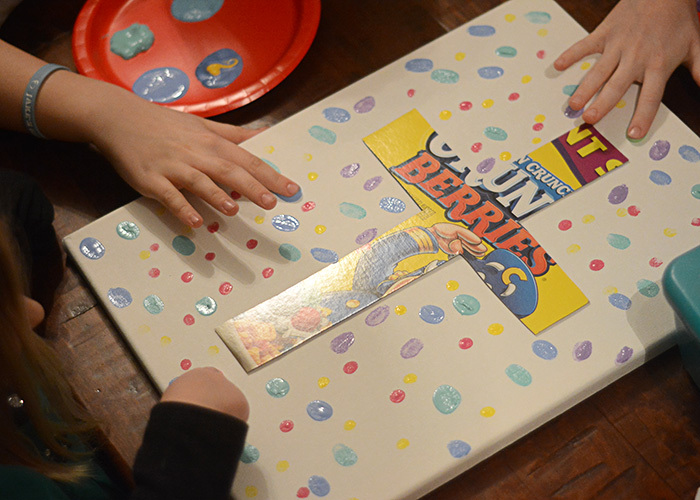 Why did I wait so long to make this with my kids. It makes me so happy! 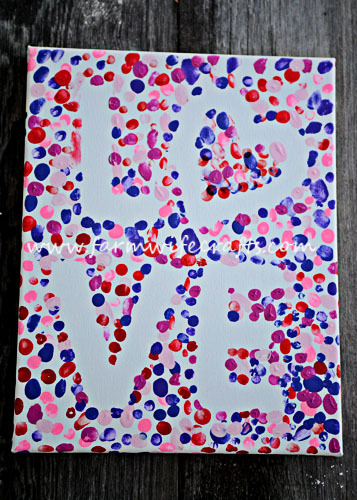 B, our oldest, had the great idea to also add each of their fingerprints to the back of the canvas. 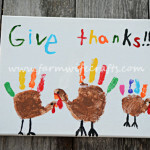 Then when it dried they wrote their names and the year next to their fingerprint. 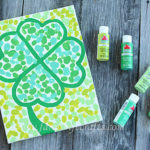 I wish I would’ve thought to do that with the other two we made! Enjoy the Easter season with your families and friends!! 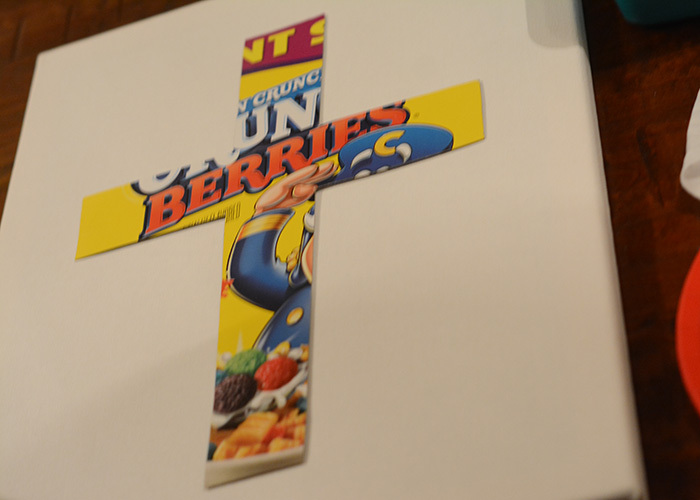 Cut a cross stencil from a cereal box and tape to the center of the canvas. 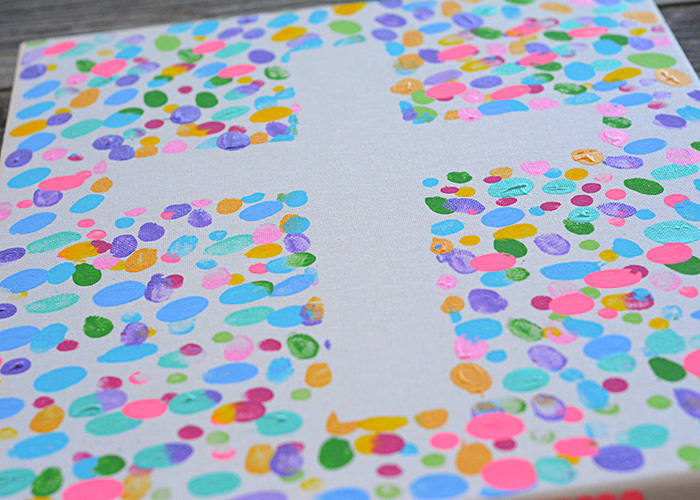 Dip fingers in various acrylic paint colors and press them on canvas around cross. 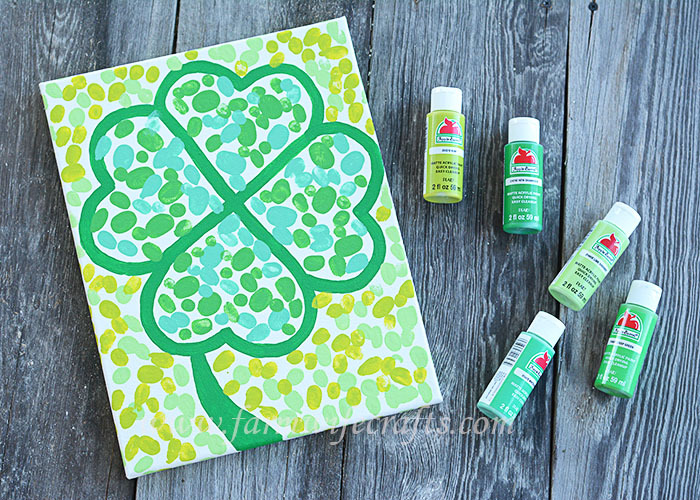 Allow the paint to dry, then carefully remove the cardboard cross.